Well the new claymore is out. I really want to go back to blogging soon. But it won’t be long til all our exams are over. So bare with us, one more week. So I won’t be able to do this write up. Well, on non WSJ news. 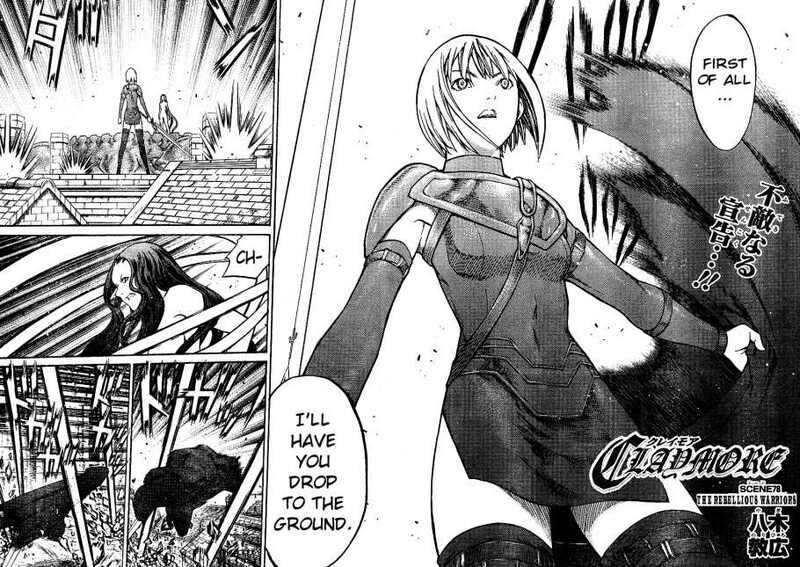 New Claymore is out! Yay. This chapter seemed a little short, but it has been long in the waiting nonetheless, and just makes you hate waiting more for the next chapter.